The Great West Way may be new but its existence is rooted in the very history of England, with each major navigable aspect - road, rail, river - telling its own story about the country’s past. Travel on foot, by car or on a bicycle. By train, coach or boat. Whatever your choice getting around hasn't been easier, that’s the beauty of the Great West Way. This 125-mile touring route from London to Bristol is based on one of six Great Roads commissioned by King Charles II in the 17th century, to facilitate postal deliveries across England. It can be traced back further still to the rough wagon tracks of medieval times, and before that even to old Roman roads. The road has taken many detours over the years, and we hope you will too. Towards the end of the 18th-century, it was time for another ambitious project - a waterway linking east and west via the River Avon and River Thames. The Kennet and Avon Canal was constructed to provide an efficient inland alternative for transporting big loads of produce, the alternative being a dangerous trip over the ferocious seas of the English Channel. Today though you’ll find a blissfully different scene. A serene stretch of water, perfect for a sunny day out on a boat, and a wildlife conservation area. Steam forward to the smoky dawn of the Industrial Revolution, in the early 20th-century, and The Great Western Railway had arrived - the first ever railroad from London to Bristol. It was celebrated Victorian engineer, Isambard Kingdom Brunel, you have to thank for the innovation and, what remains to this day, a remarkably smooth journey. He tested how level the tracks were by measuring the accuracy of the circles he drew in his notepad throughout. But the intrigue doesn’t end there. Explore these distinct but equally engaging routes, alongside the many hiking and bike trails that bring you closer to nature, and you’ll be able to see England’s history from every angle. At UNESCO World Heritage Sites, stately homes and medieval castles, living history events and folk festivals, offbeat museums and, of course, through the amazing anecdotes of the locals. One way or another, there’s always more to find out. So let’s get going. Want to hop on a train from London to Legoland? Take an invigorating hike through the North Wessex Downs? Stand-up paddle board your way around Bristol’s Floating Harbour with SUP Bristol? 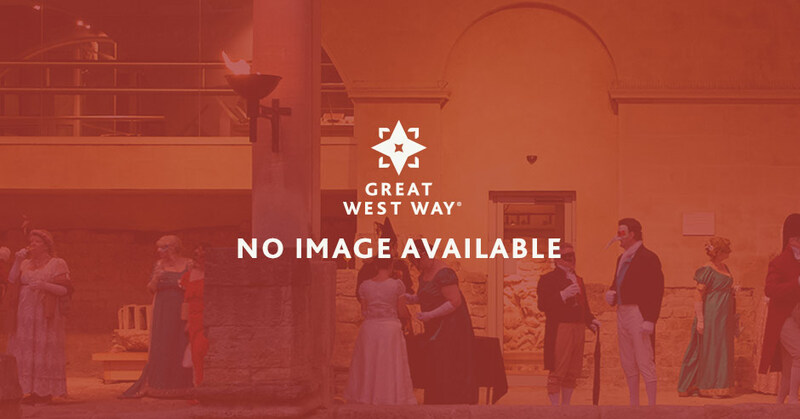 Here you’ll find the practical travel information you need to help make your Great West Way trip a reality. Discover your way. Bus and coach travel for the Great West Way. The Great West Way by rail. 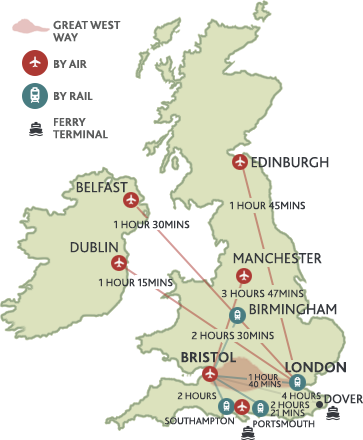 Bristol Airport is located just a few miles south of Bristol City Centre with direct services to over 100 destinations across Europe.